According to recent studies, climate change is having a profound impact on winter sports around the world; professional competitions have been cancelled due to lack of snow, resorts are encountering shorter ski seasons, and snow enthusiasts everywhere are feeling the pinch. I AM PRO SNOW is dedicated to mobilizing the ski and snowboard communities to act on climate change. This includes engaging with retailers, merchants, and resorts to champion action on climate change. I AM PRO SNOW taps into cultural forces around the world by engaging skiers, riders, and everyone involved with the winter sports industry to become aware of climate change. I AM PRO SNOW is an initiative of The Climate Reality Project, which was founded — and is chaired by — Al Gore. The Climate Reality Project is one of the world’s leading organizations for mobilizing social consensus around climate change. I AM PRO SNOW is primarily a grassroots effort that is engaging new audiences in non-traditional ways. 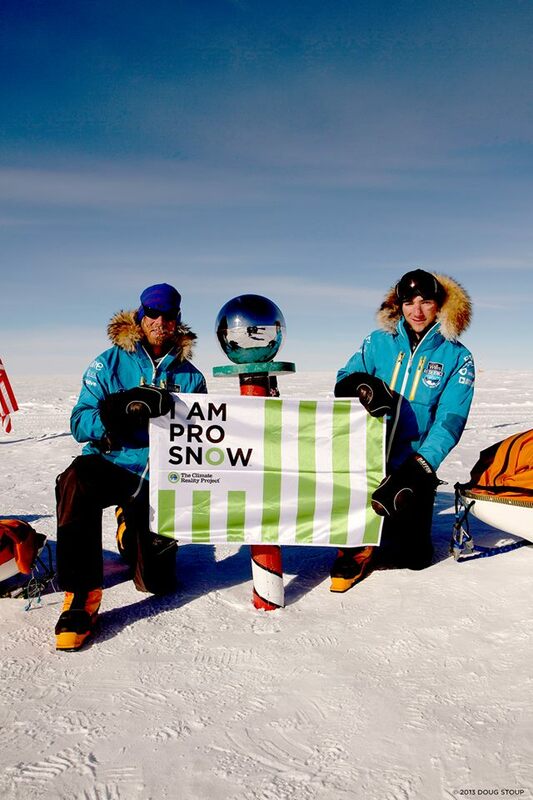 Already, the campaign has added more than 15,000 names to its mailing list and has been featured in Warren Miller’s 2013 film Ticket To Ride – which features a segment in Greenland with a climate change message and I AM PRO SNOW Climate Ambassadors. I AM PRO SNOW has also signed ten Olympians and pro athletes including Kaylin Richardson and Ted Ligety to serve as Climate Ambassadors with more Ambassadors committing to the program every month. In the coming year, I AM PRO SNOW will be working to translate energy and interest into actions and develop a public campaign to engage and empower people to move towards climate change solutions. Businesses and consumers can help by joining the social media community, promoting the campaign with information in storefronts and online, creating educational campaigns for their customers, and by making monetary contributions to the campaign. Through membership and social media, I AM PRO SNOW is working to gain 100,000 new voices who will tell their local and national leaders and communities that they are Pro Snow and why. “Whether you are a skier, snowboarder, or just a regular old lover of nature we must act now to save our beloved winters. Our leaders need to hear from us, and they need our support. Let’s get involved. We are all connected – what happens in your local town councils, state legislatures, and in Washington, DC, plays out in the mountains,” says Climate Ambassador Kaylin Richardson. Reblogged from 1% for the Planet. For more information about this project, go to IamProSnow.org. Ski lift on top of Åreskutan, Sweden. Photo by Anders Carlsson via WikiMedia Commons.